A warm welcome awaits you at Fiordland Lodge, a luxury lodge set on the shores of Lake Te Anau in the heart of New Zealand's World Heritage-listed Fiordland National Park, and the perfect base from which to explore the majestic landscapes of Milford Sound and Doubtful Sound, two of the country's most spectacular natural attractions. 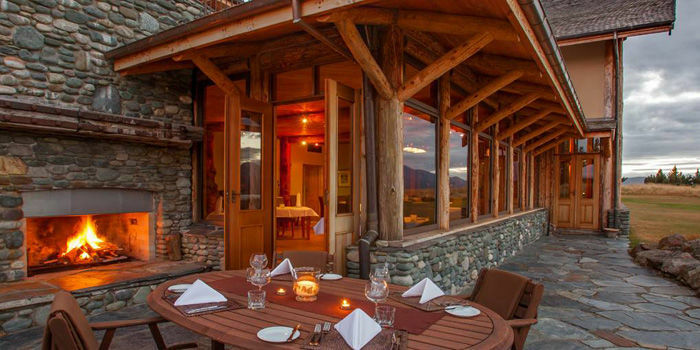 At Fiordland Lodge peace and quiet is guaranteed with a maximum of just 29 guests accommodated in ten luxury rooms and two separate, self-contained log cabins. 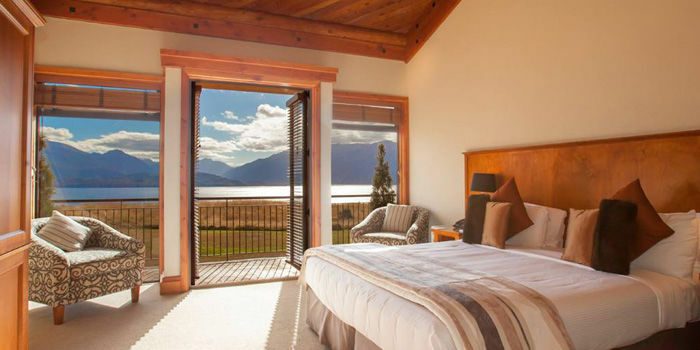 Beautifully appointed and stylishly furnished, all accommodation features king-size beds, luxurious private bathrooms and breathtaking views across Lake Te Anau and the surrounding mountains. With a sweeping, panoramic view of the lake and mountain ranges, it's hard to imagine a more special backdrop for enjoying the very best of New Zealand cuisine. 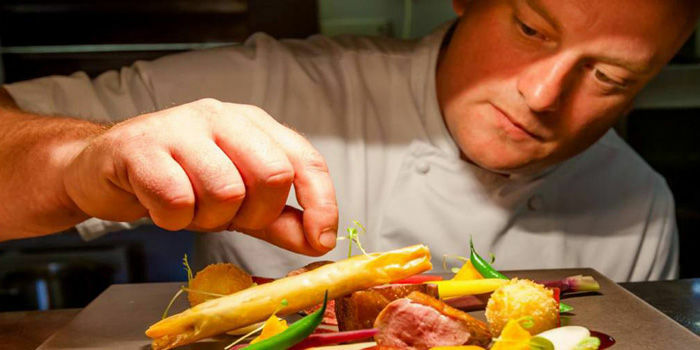 Food and wine are an integral part of life at Fiordland Lodge and guests can expect to savour a wealth of the finest ingredients, many of which are farmed and produced in and around Te Anau and used to create an enticing - and ever changing - seasonal menu that pays homage to the traditions of New Zealand cooking. 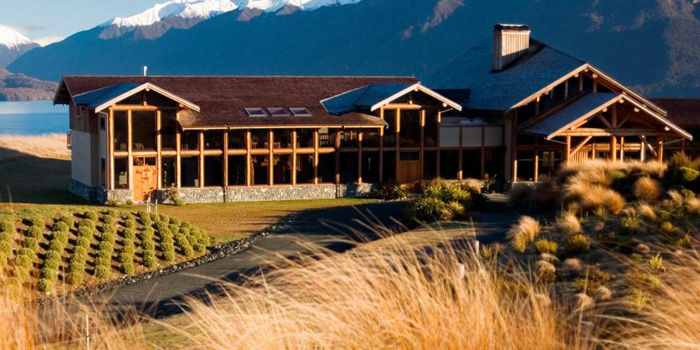 A stay at Fiordland Lodge is all about exploring the stunning wilderness of the Fiordland National Park. 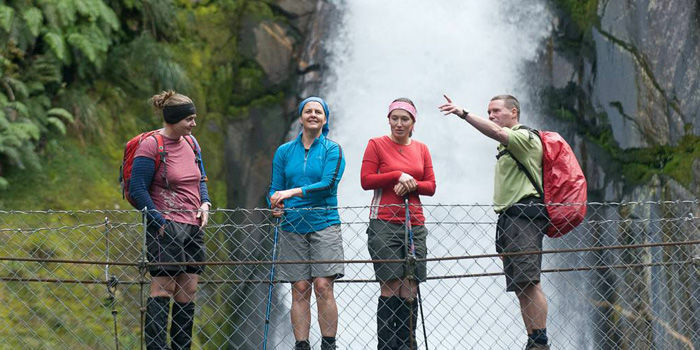 The lodge offers a number of unique Fiordland experiences, including guided nature walks, fly-fishing trips, bird watching excursions and trips to nearby Milford and Doubtful Sounds, all in the company of Fiordland Guides, a renowned organisation based at the lodge.